The ongoing three-way legal battle featuring pro poker player Phil Ivey, Atlantic City, New Jersey’s Borgata Hotel Casino & Spa, and Kansas City-based cardmaker Gemaco continues winding its way through a lengthy discovery and post-discovery phase which remains on course to a trial later this year. While the Borgata-Gemaco portion of the battle has also been in the news this week, the Atlantic City landmark continues its efforts to try to paint the “edge sorting” actions of Ivey and his co-defendant partner, “Kelly” as an illegal form of cheating under New Jersey gaming law. Recent filings in the complex case have brought forth more background information and expert testimony. Among the most interesting of these documents is a recent investigative report paid for by the Borgata and assembled by Lisa Povill, a Las Vegas-based casino security expert. Povill, currently employed by Biometrica Systems, Inc. as its Director of Intelligence and Compliance, takes square aim at Ivey and Sun’s allegedly illegal activities in a 17-page report created last October, which has now been added to the court record. Povill joined Biometrica in 2007 after rising through the ranks of casinos in New Jersey and Nevada, beginning as a blackjack and baccarat dealer and culminating in nearly a decade at Wynn Las Vegas. At Wynn, she served as the Senior Games Protection Manager, after a lengthy stint as one of Wynn’s table-games supervisors. Povill indeed supplies a reputable c.v. for her role here as a hired gun serving the Borgata’s interests, though whether or not the claims she asserts on the Borgata’s behalf are important to the case’s resolution remain to seen. Much of Povill’s “Expert Report” involves a statistical analysis of how the “first card advantage” gained by Ivey and Sun’s edge-sorting tactics shifted the mini-baccarat odds significantly in the pair’s favor. 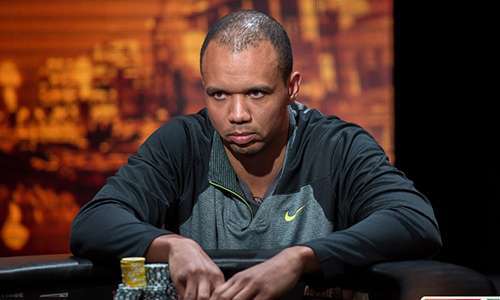 Povill provided a statistical analysis of 1,436 hands, or 23 baccarat shoes, played by Ivey and Sun during the pair’s four visits to the Borgata. Her work shows mathematically that the already-acknowledged edge sorting by the pair had indeed occurred. Ivey and Sun were able to correctly identify the first card more than 20% more often over that span than normal chance would dictate. However, it’s when Povill delves into the debate as to whether Ivey and Sun’s scheme was “advantage play,” or whether their actions were illegal cheating, that the report is at its most interesting. This portion is far less about the math and more about Povill’s interpretation of both New Jersey’s gaming laws and the complex series of actions that Ivey and Sun undertook in pulling off the scheme. A person is guilty of swindling and cheating if the person purposely or knowingly by any trick or sleight of hand performance or by a fraud or fraudulent scheme, cards, dice or device, for himself or herself or for another, wins or attempts to win money or property … in connection to casino gaming. 31. As noted above, the term “advantage play” refers to a legally gained advantage using a player’s own mathematical skill. In this case, the means used to gain an advantage did not involve mathematical skill, but instead involved deception and a fraudulent scheme to manipulate the way the casino equipment was used. 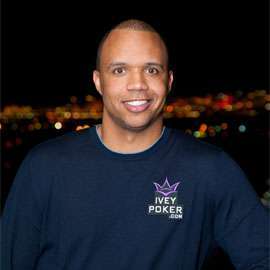 Specifically, Ivey and Sun manipulated the cards by tricking dealers into orienting the edges, and then used the pretense of an honest shuffling machine to dishonestly ensure that the orientation of the card edges would not change. This manipulation created an advantage that does not normally occur in the game of baccarat. In this regard, it is indistinguishable from card making, which creates a similar abnormal advantage. These actions violated the laws in place to protect the integrity of the game. In addition to satisfying the definition of cheating and swindling, in most jurisdictions these actions would also be considered theft by deception. Ivey’s and Sun’s actions cannot be considered advantage play because they were not legal. 32. In his deposition Ivey claimed he used his own judgment when deciding if his actions violated any laws. He claimed he did not seek legal advice before playing at the Borgata with Sun. He sought no legal advice before he chose to work with a team of people to deceive, withhold information and lie to Borgata. His actions were an attempt to manipulate the way the equipment was used to gain first card advantage and alter the randomness of the outcome of the game. A few other tidbits emerged within Povill’s expert report. For instance, Povill explained that Ivey and Sun used a “win progression” betting scheme, starting at $10,000, during the first eight-deck shoe they played on each visit. However, based upon Povill’s presumption that Sun spent much of the time verbally assisting the supplied dealer to rotate some of the cards, Ivey and Sun then jumped to the max bet allowed — typically $100,000 — at the start of the second shoe. This allowed the pair to immediately take advantage of the first-card advantage already obtained. Povill’s report also deialed that Sun (formal name Cheng Yin Sun) has also been involved in edge-sorting skirmishes other than the Crockfords case where she also partnered with Ivey. Povill named Crown Casino in Australia and Foxwoods in the US state of Connecticut as facilities with other episodes involving Sun. Separately, she noted that normal casino practices made edge-sorting and other cheating schemes in baccarat almost unheard of, before the Ivey case grabbed major attention. The explanation above wherein Povill describes the difference, in the casino industry’s viewpoint, between advantage play and cheating is worth special note. It’s the clearest expression that’s emerged in the case about what the Borgata believes constitutes cheating at the tables. Still, the problem facing this report and the Borgata’s legal arguments is that per other court documents, the Borgata approached both the New Jersey Division of Gaming Enforcement (DGE) and the New Jersey State Police about bringing charges against Ivey and Sun. Though these agencies were notified by the Borgata in late 2012, neither agency has chosen to bring cheating charges against the pair. The legal definition of “fraud” (and that of “tricks”/”deception) involves multifarious legal elements and further explanation of those same elements, e.g., a. reliance, that is justified by the aggrieved party, proximately causing, damages, etc. Way TOO complicated to expound here. Applying Povill’s definition, Don Johnson didn’t inform the casinos either about the advantage he had from his requests, so he cheated?